Shortly after I moved to Toronto, my daughter introduced me to Addis Ababa, a popular Ethiopian restaurant on Queen Street West. 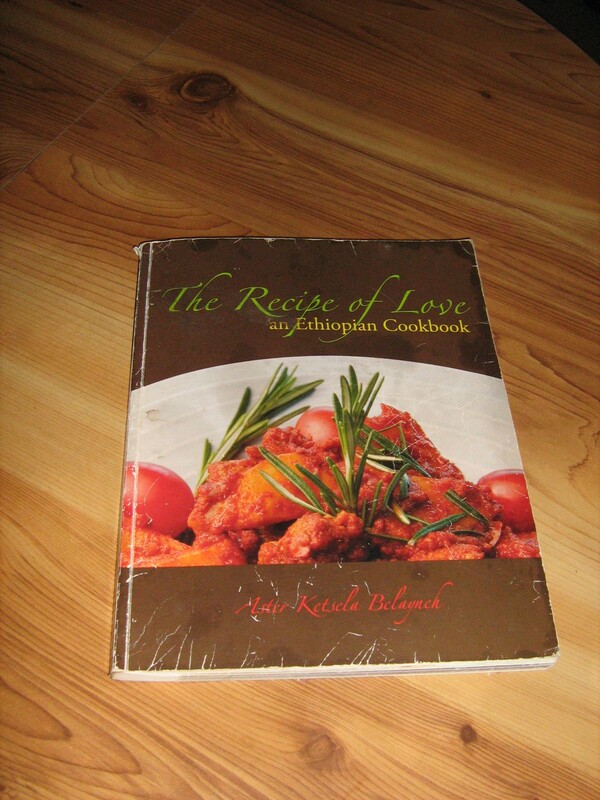 I was delighted to find the owner, Aster Ketsela Belayneh, had created a cookbook: The Recipe of Love. Actually, I didn’t buy it for the recipes. I bought it for the page pictured below. I couldn’t resist acquiring yet another alphabet. 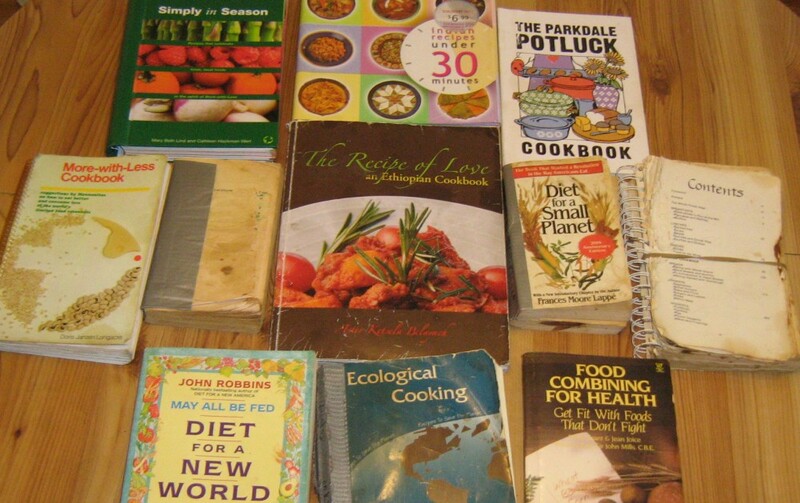 But, of course, one cannot have a cookbook without also trying the recipes. And so I am discovering the unique cuisine of Ethiopia. I now rely on several of these recipes—especially Spiced Butter, Berbere Dilhie and Mit’mita seasoning—for much of my other cooking as well. One thing that still stymies me though is how to make Injera—the traditional Ethiopian bread. I expect this is something one cannot learn without personal instruction. Recipes are beautifully illustrated with full-page colour photos. 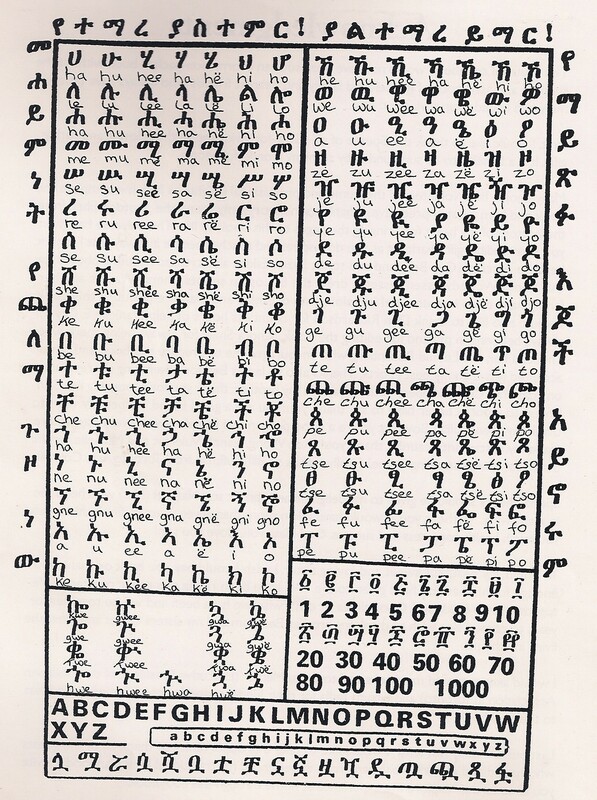 And in addition to the Ethiopian script, the book is seasoned with Ethiopian art and the author’s personal philosophy such as “The Recipe of Love”. This entry was posted in The cookbooks and tagged Addis Ababa, Addis Ababa restaurant, Ethiopia, Ethiopian cuisine, Injera, Queen Street West, The Recipe of Love, Toronto by gluadys. Bookmark the permalink.